Do I Have a Spending Problem? 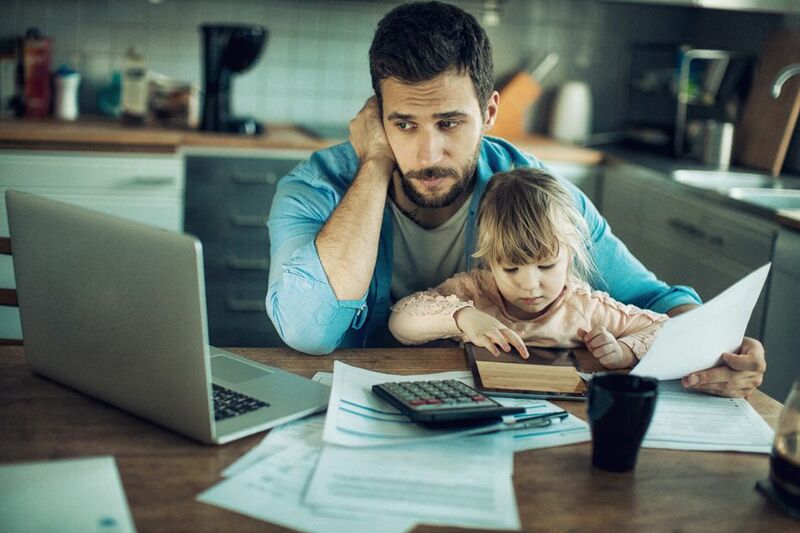 Spending issues can seriously affect your financial situation and can lead to serious financial issues, like debt, home foreclosure, poor credit, and even marital issues. If you think you might have a spending problem, it’s important to acknowledge these issues. If they are serious enough, you should seek professional help, which will allow you to take control of your finances. We explore five common signs of a spending problem – and how to recognize them. One of the biggest signs that you may have a real spending problem is that you are hiding your purchases from people. If you are married, it may be that you are hiding your purchases from your spouse. If you are single, you may be hiding them from your roommate (because you owe her money for your part of the electric bill), or your friends. You may also be hiding the purchases from your parents. ​This is a serious sign of a spending problem, and you need to take steps as quickly as you can to address the problem. Some people get a high after shopping, much like other addictions, like alcoholism or drug use. If you find yourself craving the experience of going shopping, especially after a bad day, or counting down the minutes or hours until your next shopping “fix,” you may have a spending problem. If you have multiple credit cards, if they are constantly maxed out or you continue to max them back out after making a payment each month, then you may have a spending problem. You may also have an issue if you are constantly juggling between them, trying to figure out which has enough credit remaining on it so you can spend more. Continuing to spend, even when you do not have the funds to do so, is another sign of having a spending problem. Being in denial about the amount of debt you have, or how much money you actually spend on things you do not need each month, are other signs. Take a good look at your budget and what you spend each month. If you are buying luxury items or items you truly do not need on credit, then chances are, you have a spending problem. If you have a hard time remembering what you already own, you may have a spending problem. You may be running out of space at home with a lot of extra boxes stored in every closet of your home, or have an extra room devoted to just the items that you have purchased recently. This is a big sign that you may have an issue. Take an inventory of what you own. If you start to see many duplicates, such as three toasters or five similar white shirts, then you may have a spending issue and should seek professional help. Do you ever go into a store and begin walking around the store putting random items in your cart? Is it not as much about what you are buying, rather, the simple act of buying something? Then you may have a spending issue. People who buy things simply for the sake of buying, or who overbuy for family and friends for holiday and special occasion gifts, may have a spending problem. If you think you recognize any of these signs in your spending, then you may have a spending problem and should likely seek professional help before it’s too late and your finances suffer. Remember, spending issues can cause other serious problems with your finances, such as debt, home foreclosure, relationship issues, and more.